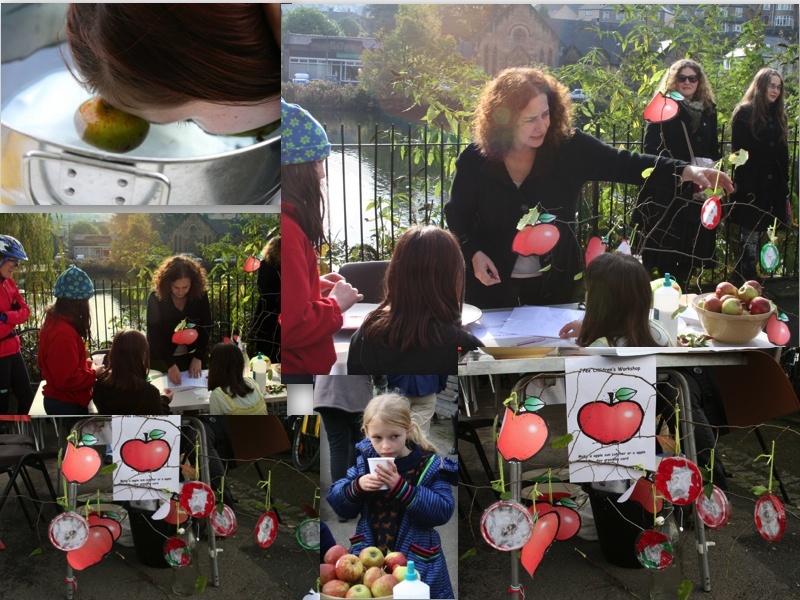 Apple Day was a huge success for which huge thanks are due to all who helped, ran stalls, exhibited art and, most importantly to Scarthin Books who are the main sponsors for this event. The weather was dry and mild, and Scarthin Promenade provided a perfect setting for the entertainment provided by Highfields School Folk Group, Ripley Morris men, with local artists exhibiting their work on the railings as, even in this difficult year for apples, a substantial amount of juice was produced. 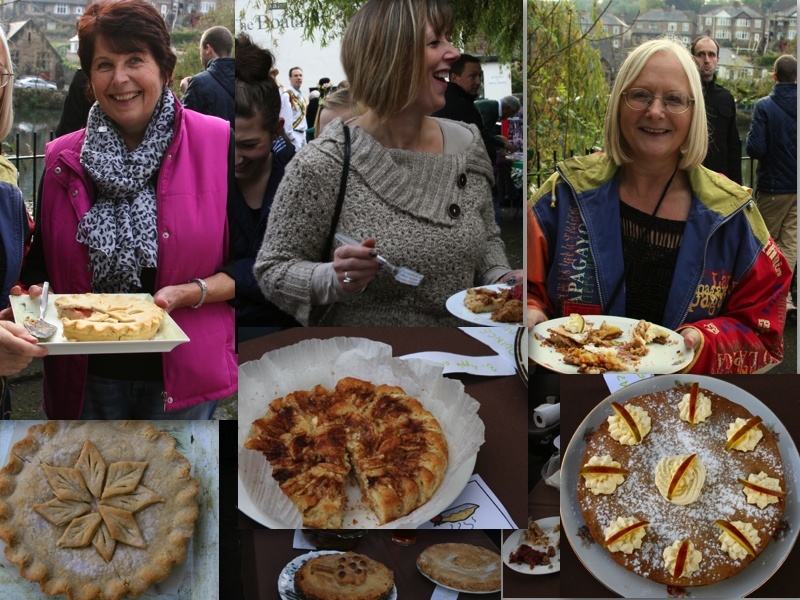 Our thanks go to Harriet Heathcote, of Cakes and Bakes, Grangemill for judging the pies (middle in pic below). thanks to everyone who entered - the standard was extremely high and the variety of apple based pies and puddings tremendous. 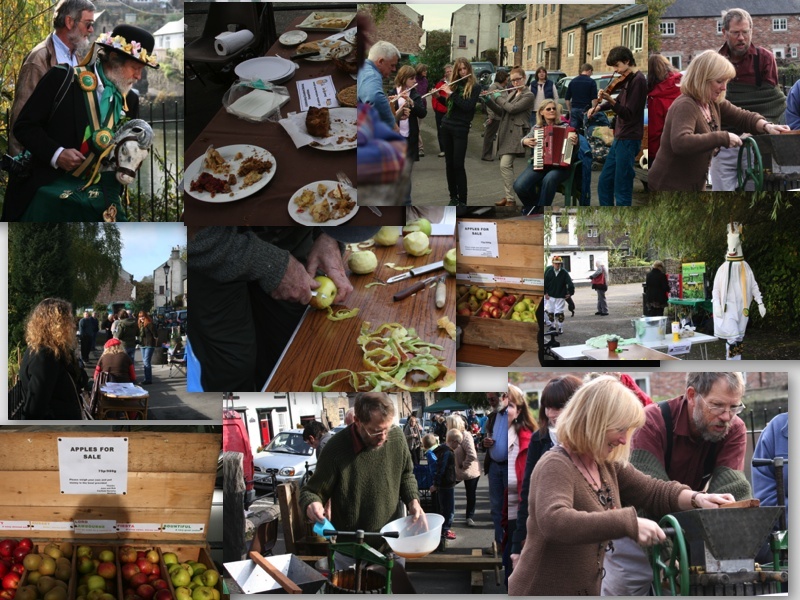 After the judging the pies were hungrily devoured by a waiting crown sold - all funds raised will be used to fund future Celebrating Cromford events.